Crossroads Church has been partnering with New Life Children’s Home in Port Au Prince, Haiti for many years to bring hope and love to the children that live at New Life Children’s Home. While in Haiti our team will be visiting local orphanages to bring food, supplies, and the love of Jesus to these children. It is so rewarding to watch the eyes of these children light up as you love on them and show them what it’s like to love like Jesus. Although we try to plan our days in Haiti, we ultimately rely on God for direction as our day-to-day activities can change in a moment. Learn more about our New Life Children’s Home. Crossroads Church has been partnering with Frontline Missions for several years to support local missionaries who have been living in Honduras since 1998. What began as hurricane relief efforts have developed into strategic church planting with a heart to reach the indigenous nations of Honduras. Our teams have been hands-on with building churches for small villages, reaching children through VBS activities and sharing the gospel. Crossroads Church is even more excited to support the local coffee bean farmers who provide the beans we use in our Cafe 10:10 every Sunday morning. Each year we return to continue building upon the relationships we have started many years ago. The Honduran people are so gracious as they welcome us back every time with huge smiles and hearts desiring to learn more about God. Armenia is one of the former Soviet republics, nestled between Europe and Asia in the mountainous Caucasus region. Although it is one of the earliest Christian civilizations, less than 10% of the people have a personal relationship with Jesus. Armenia continues to be oppressed by the Armenian Genocide that took place a century ago. On this trip we will partner with missionaries in Yerevan to reach university students and young working adults by helping with medical clinics, health fairs, passing out eyeglasses, teaching English and visiting people. You’ll be amazed by the hospitality of the Armenian people, and the kindred Spirit that exists among believers. No matter how God has gifted you to serve, if you believe that He is calling you to make a difference in Armenia, He will ignite in your heart to share the gospel and work through you to flood hearts with His hope and love. Nairobi, Kenya is one of the largest and fastest growing cities in Africa. 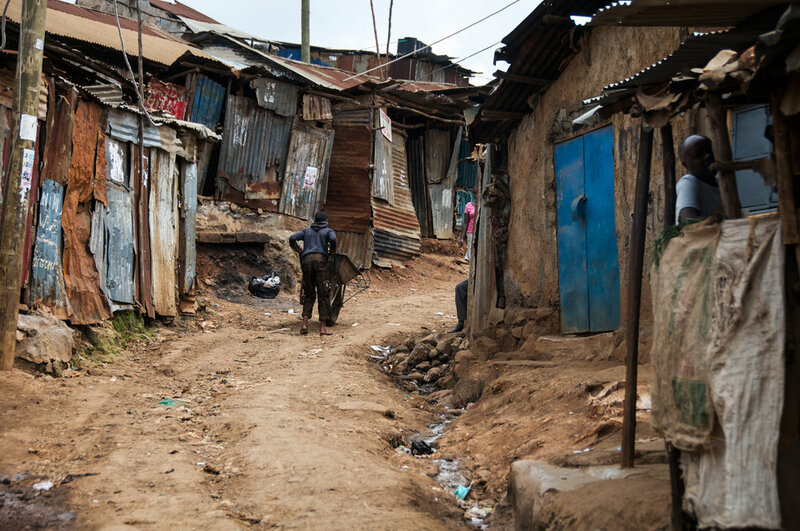 Our team will travel to Kibera, the neighboring community of Nairobi, to serve alongside local bible college students bringing the gospel to an area where poverty is a way of life. Kibera is known as the largest urban slum in Africa and it is believed that the 200,000 - 1,000,000 people living there earn less than $1 a day. Unemployment rates are high and there are only a few schools. Unfortunately, most people can’t afford to send their children to school. Clean water is scarce and is causing various diseases due to poor hygiene and inadequate drinking water. The majority of people living in the slum areas lack access to basic services such as electricity, running water, and medical care. The Kiberan people are considered one of the friendliest groups of people and are willing to share what little they have with others. Crossroads is partnering with a local church in Aguadilla, Puerto Rico, Iglesia Evangelio de Amor, which is two hours away from San Juan. Puerto Rico was hit hard in 2017 by Hurricane Maria and is still suffering from electricity loss and lack of clean running water. Therefore, our team will work alongside the local church to continue the work of rebuilding the community. Iglesia Evangelio de Amor has worked tirelessly to minister to those who lost so much in the community. Our team will be able to minister to the local church as well to encourage them on their journey.